Big wheels and big travel are big news these days. 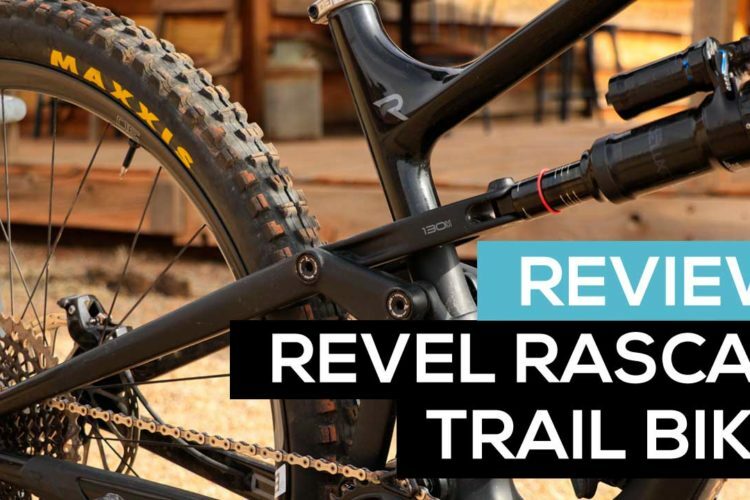 Brands are releasing long-travel 29ers left and right, and it’s not just on trail and enduro bikes anymore. 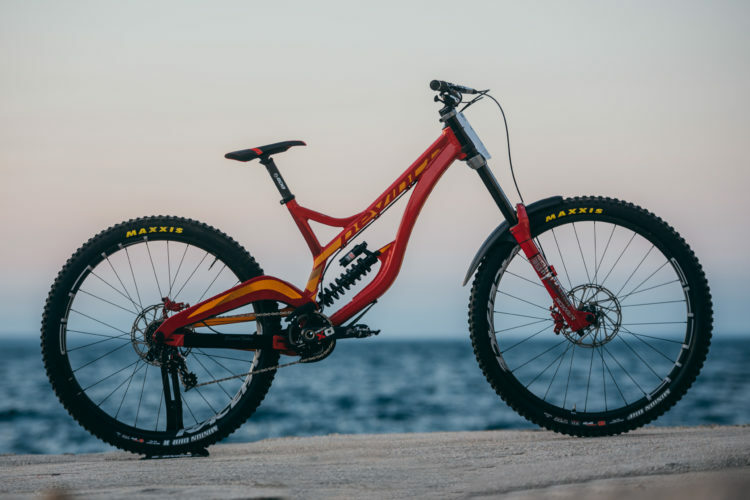 Santa Cruz and Trek were among the first brands to put 29-inch wheels on a downhill bike, which generated a lot of controversy. 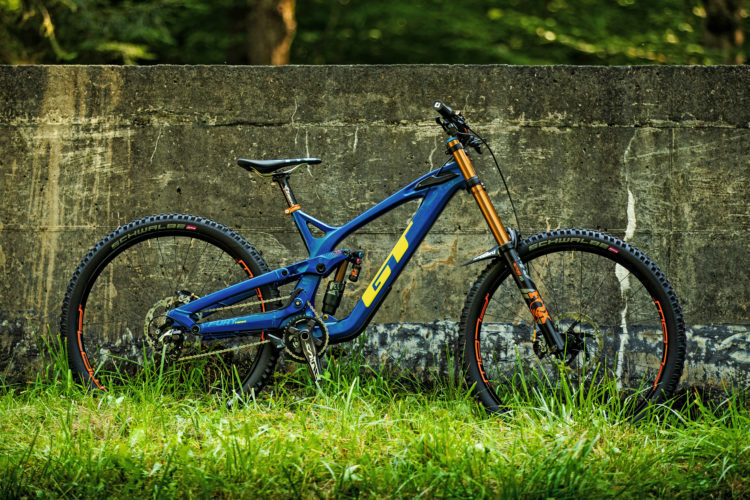 The controversy continued even after Greg Minaar won the Fort William round in the World Cup last summer on the Santa Cruz V10 29er. It’s safe to say that the gravity community has been the last bunch of folks to warm up to big wheels. 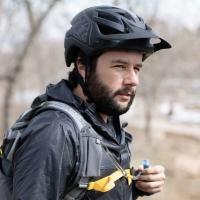 Change is scary at times, and putting big wheels on a bike that’s meant to be thrown around and whipped through the air seems counterintuitive. GT athletes have been running a prototype version of the Fury 29er for a few seasons and it saw a top ten result this season by Martin Maes at Fort William, Scotland. 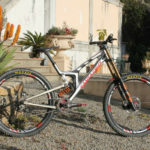 Maes also just won the World Cup in La Bresse, France on the 27.5-inch version of the bike. 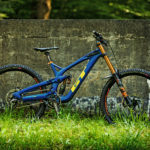 GT dialed in the new Fury and released the updated version to consumers on August 10th, just ahead of Crankworx Whistler. Singletracks had the opportunity to spend a day in Whistler Bike Park on the new rig. First off, don’t worry: the Fury is still available in a 27.5-inch option. 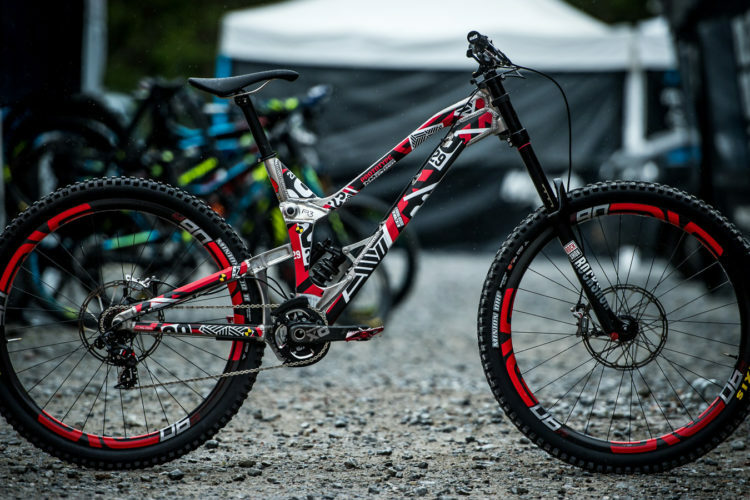 As a frame, it comes with a swap kit to switch between 27.5-inch and 29-inch wheels. What’s a swap kit? Well, basically, it’s an extra chainstay seat stay along with a set of headset cups. So, in order to change the wheelsize, buyers will need to swap the chainstay seat stay and headset cups, and the kit includes the necessary hardware to do so. This is only available on the frameset option. If buyers want a complete build, they’ll have to pick a wheel size and stick with it, as the swap kit won’t be available as an aftermarket purchase. The 29-inch Fury puts the travel at 190mm in the rear with a 200mm fork. 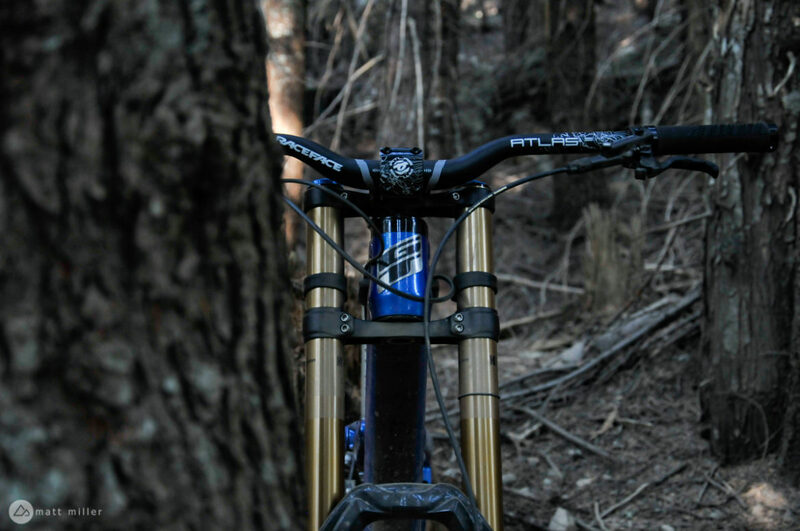 A 27.5-inch build gets 200mm of travel front and rear. Both wheel sizes have the same geometry, which is also adjustable via flip chip. 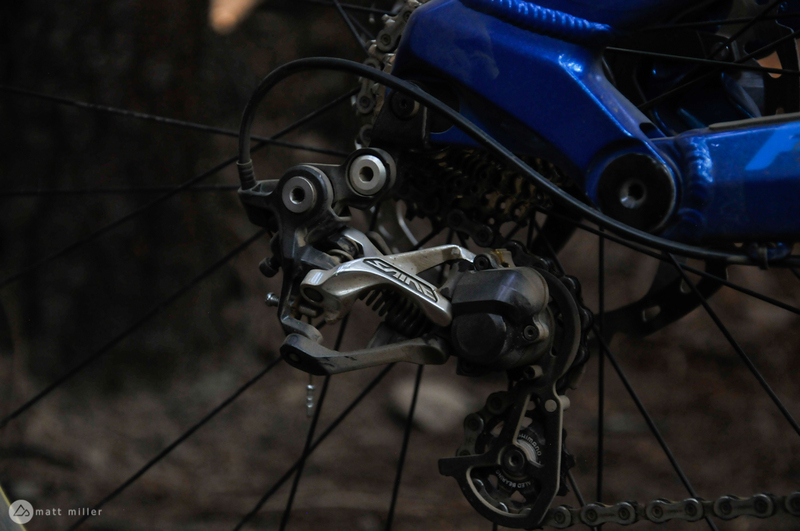 A flip chip takes the head angle from 62-degrees to 62.5-degrees, and changes the chainstay length by 10mm. Headset cups are also available for the bike so that the rider can adjust the reach. A longer cockpit makes the bike more comfortable for speed while a shorter reach makes the bike more playful. Aside from the frame-only option, the Fury comes in the Team, Expert, and Pro build kits at $4,000, $5,500, and $7,500 price points. 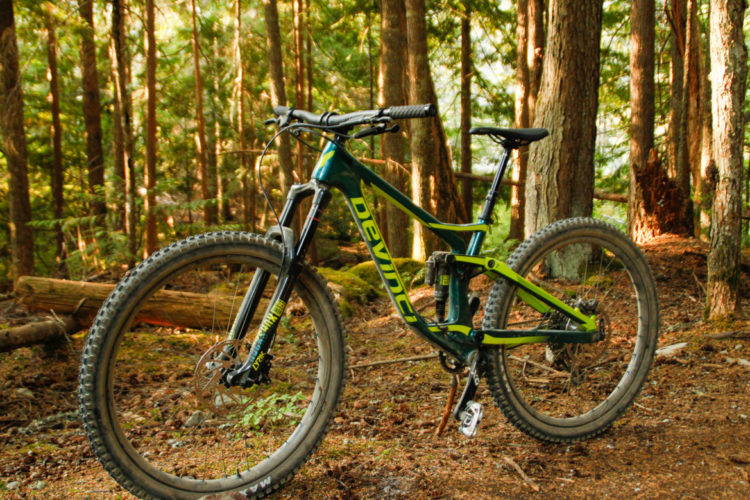 Rachelle Boobar from GT set aside a medium-sized Fury in the carbon Team 29er build for me to sample at the Whistler bike park. 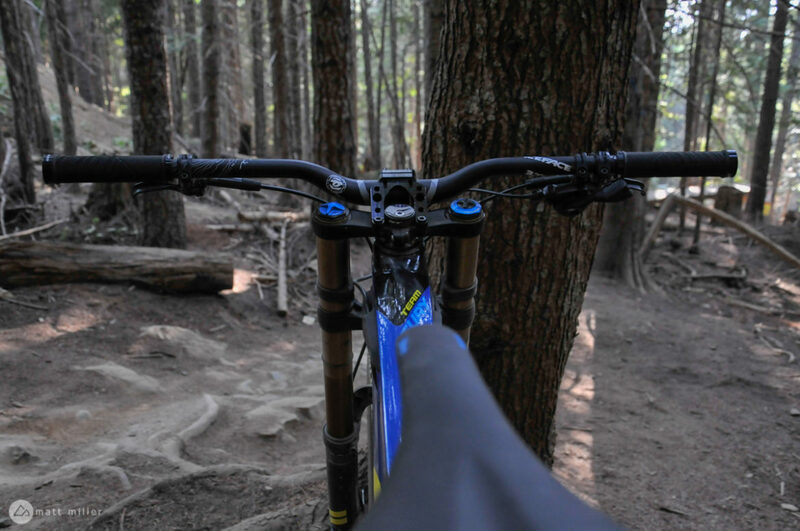 Having spent years living in Whistler, Rachelle took me for a tour on the trails in the park. 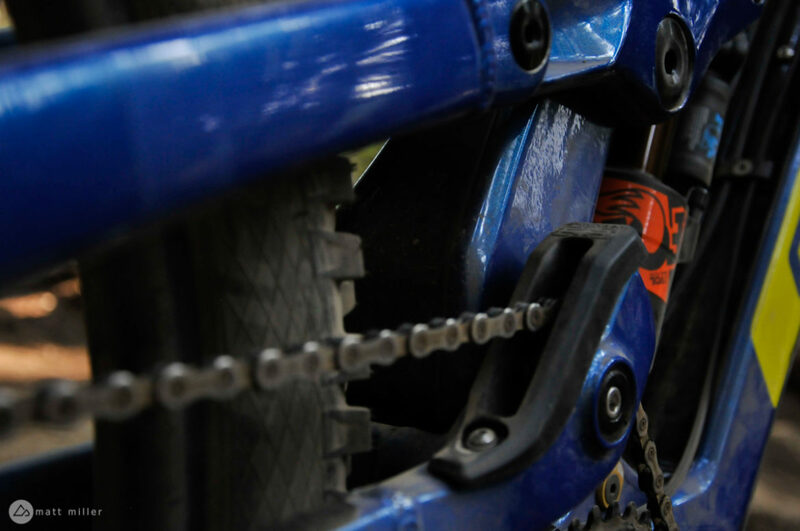 Combined with the revamped LTS (linkage tuned suspension), GT put an idler pulley up high to help separate pedaling feedback and suspension performance. We got the bike set up and walked over to the lift line, where I could immediately tell that all eyes were on me. Swaths of people walked around with their rental bikes from the shop at the bike park, which coincidentally stocks the previous generation of the Fury. Necks were broken as riders craned to get a look at the new version. “What a machine,” said a rider next me in line as he undressed the bike with his eyes. “How did you get that?” people asked me, green with envy. “Please, I don’t want any problems,” I thought. 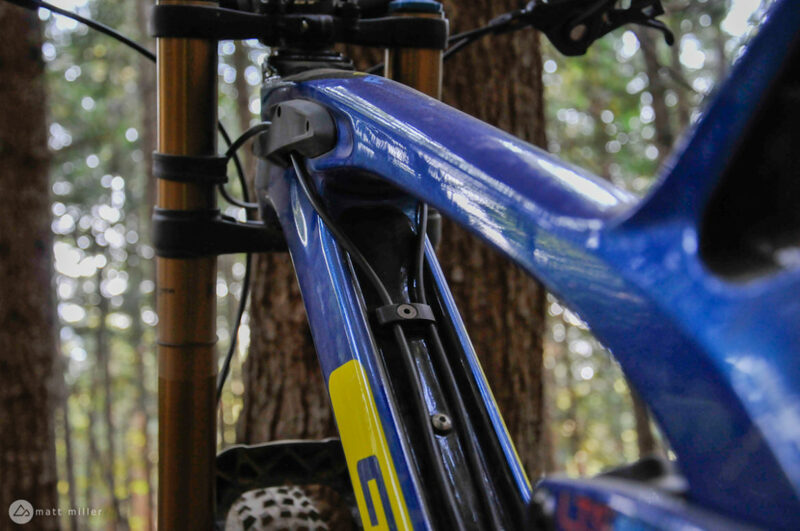 GT calls the cable routing on the Fury frame ‘Groove Tube’ technology. It keeps cables organized while maintaining accessibility. We warmed up on some of Whistler’s flow trails before diving into the gnar. Although the bike is long, the wheelbase hasn’t grown a lot since the last Fury and the reach is only a few millimeters longer than it was before. It still felt long, and it felt like a big bike, but it didn’t feel like too much bike, especially not for Whistler. I’m 5’8″ tall, and the medium size frame was a good fit for me. I could get down low on the frame when I needed to tuck, and throw my hips over the top tube when cornering. At my height, I felt very centered on the Fury, and not too far over or too far back. Schwalbe Magic Mary tires sit on Stan’s Flow MkIII rims. 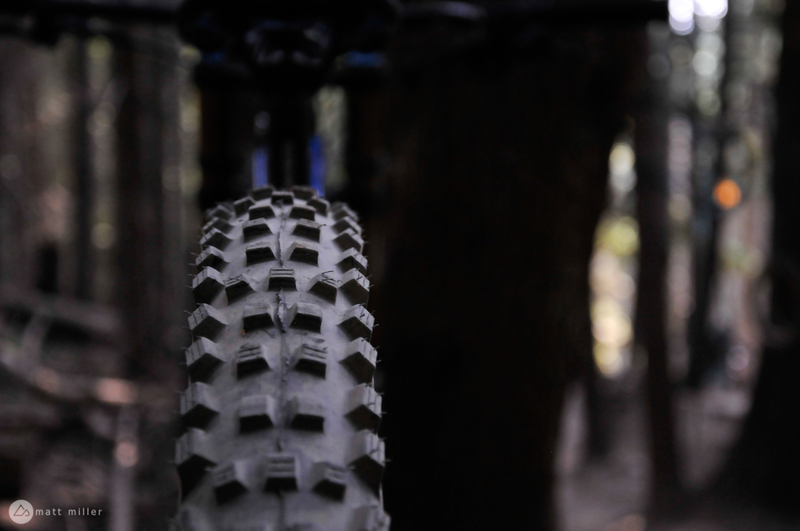 When I laid the bike over in corners and berms, the big Schwalbe Magic Mary tires spread out across the trail and gave a ton of traction. In wide corners, flat and bermed, the traction from 29-inch wheels is clearly advantageous. 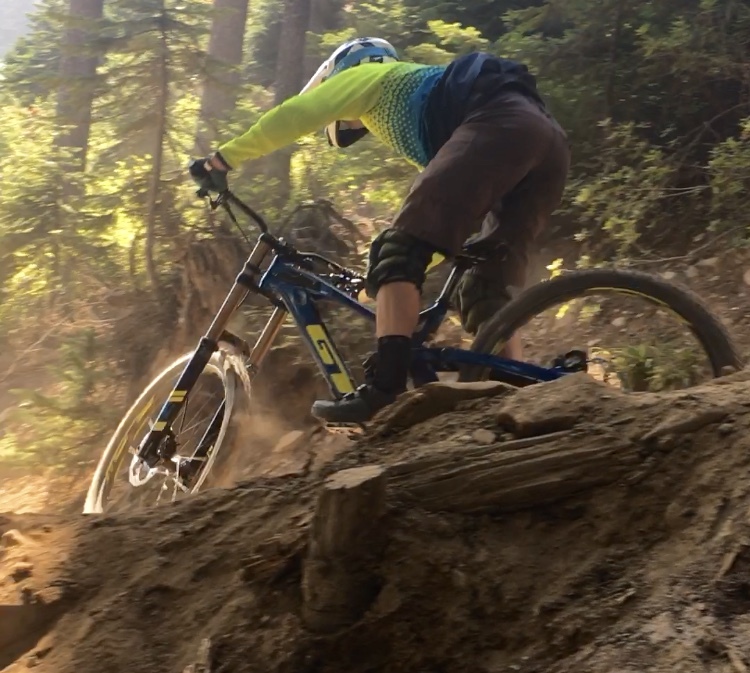 After a good warm-up, Rachelle showed me some classic Whistler bike park tech. There wasn’t any second guessing here with the Fury. Well, that is unless I needed to hop off and see for myself which line I should take. After that, it was point and shoot, or line up and take my finger off the brake. 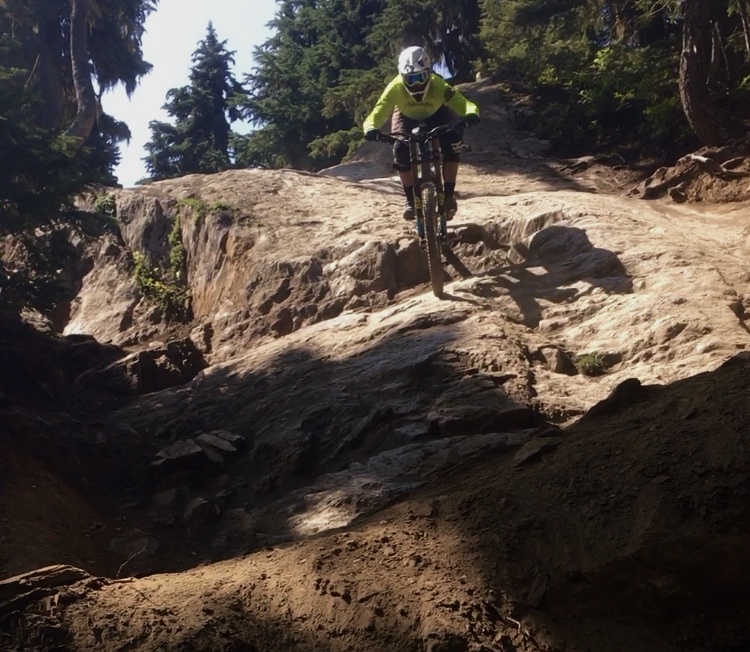 Riding the new GT Fury down some Whistler rock slabs. Photo by Rachelle Boobar. 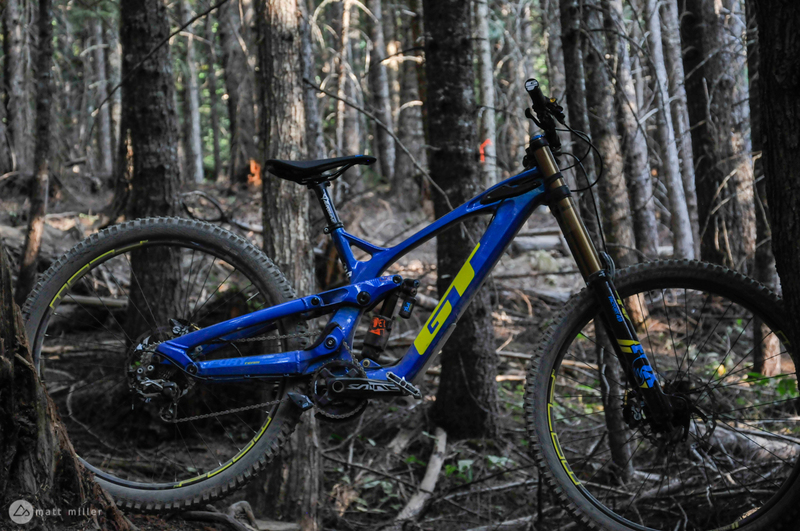 The 29er ate up rocks, holes, and roots, and shined on the big rock slabs of Whistler. The slack, 62-degree head angle made me feel like a hero on the bike park’s steep and rocky lines. Down a slab and out of a dusty right hand turn. Photo by Rachelle Boobar. 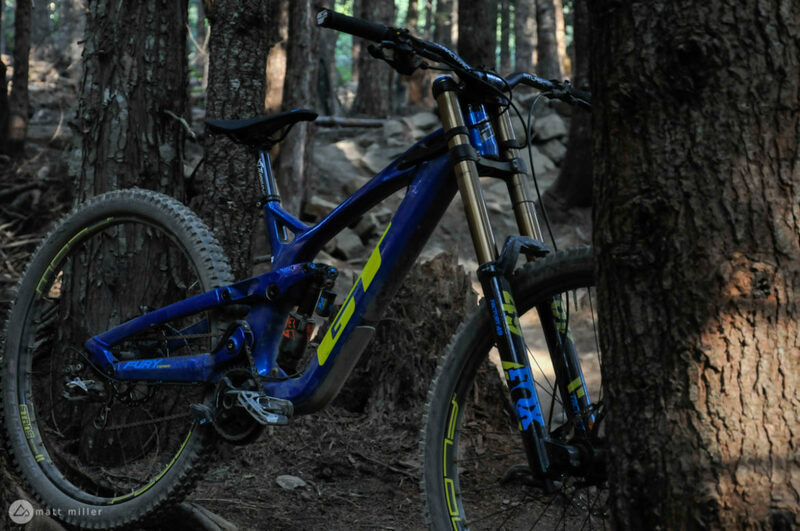 With the massive Fox Float Factory 49 fork up front, the Fury punched through powdery piles of dirt and loose rocks on hairy sections of trail. In mid-August, during Crankworx, brake bumps turn into massive pot holes in the trail. Your hands feel like fire and your knuckles throb after a day or two of riding. The ride on the Fury was on my first day of the trip, but I’m sure the fork, paired with the big wheels helped at least delay the onset of dead hands. I couldn’t get an exact weight on the Fury during my day of riding, but the folks at GT say it weighs around 38 pounds. I would’ve guessed lower if I hadn’t known. Picking the bike off the ground, it feels very light for a downhill bike. 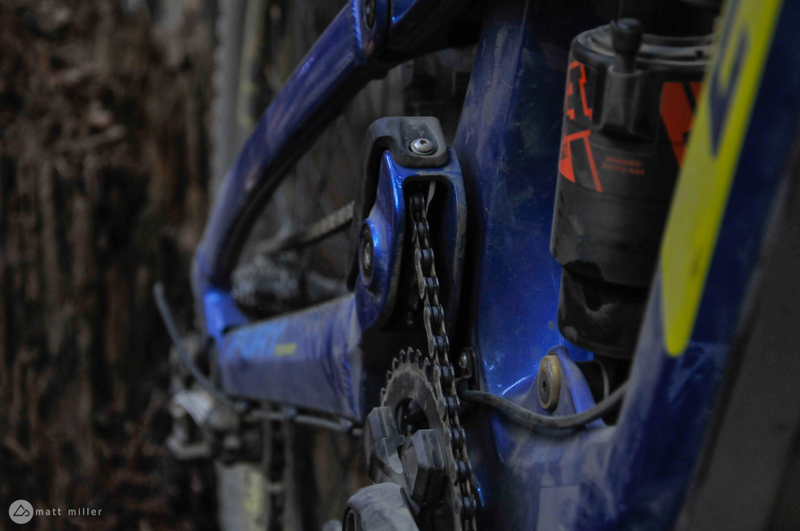 The DH bikes I’ve ridden before often feel cumbersome, dead, or glued to the ground and unwilling to play around. The Fury was different. There is still a lot of mid-support in the rear suspension, which gives it a lot of pop off of jump lips. When I was in the air, it felt predictable, and sure of where it would land. So much so, that I started to turn the bike a little in the air to see what I could get away with. I’ve never whipped. Actually, I’ve never successfully landed a whip before, but I’ve never felt more confident playing with a bike in the air than with the Fury 29er. The pop on takeoff and the predictability invites the rider to see what they can do in the air. But, what about the wheel size? Sorry, not much to report here. Yeah, it has big wheels. It’s also still a downhill bike, through and through, and those big wheels work to its advantage about 90% of the time. The only negative thing I noticed about the 29er wheels was in tight singletrack, with dodgy rocks and roots, where it takes a little more planning and setup to maneuver around obstacles. At the same time, with a bit more familiarity with the bike and the trails, it’d be possible to just roll over a lot of them. The carbon Team build that I rode retails for $7,500 and is close to what the GT athletes ride in the World Cup series. 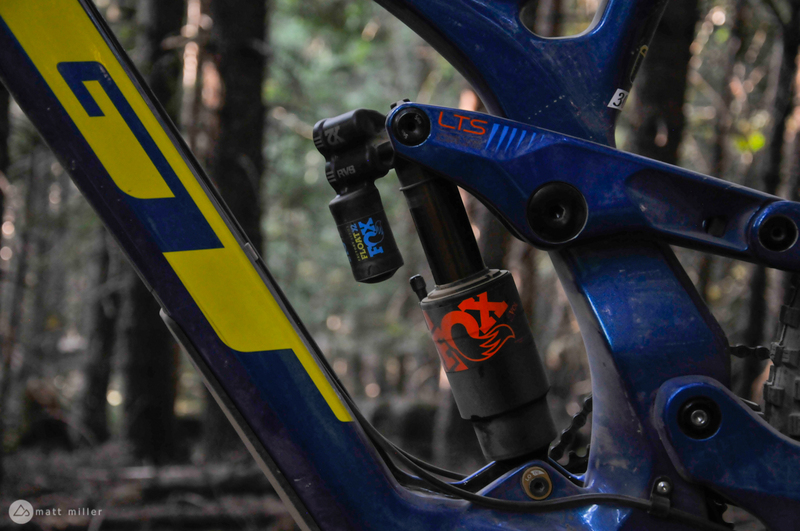 As mentioned above, the Fury comes with a Fox Float 49 fork, and also a Fox Float Factory X2. The Team build is specced in Shimano Saint components. The group set is all Shimano Saint, the cockpit is RaceFace Atlas, and it rolls on Stan’s Flow Mk III rims and Schwalbe Magic Mary tires. It’s a pretty outstanding build kit and I didn’t have a single issue with the kit during my day of testing. With only a day on the bike, it was hard to get familiar enough with it to really notice any problems. But, after a full day on the bike, it felt more familiar to me than it felt unfamiliar. There was a little metal-to-metal contact noise that rang out a few times. We looked the bike over, did a bolt check and made sure everything was tight. We chalked the noise up to just a bit of chain slap, as it happened over high speed bumps, and didn’t happen often. Looking into the cockpit on the Fury. The GT Fury 29er is a big-wheeled beast capable of laying down a lot of traction on high-speed straightaways, turns, and technical sections and is just as comfortable being tossed around in the air as smaller bikes. Forget about wheel size stereotypes and just bite in. The Fury wants to crush the bike park, whether it’s the one closest to your home or on a World Cup stop.